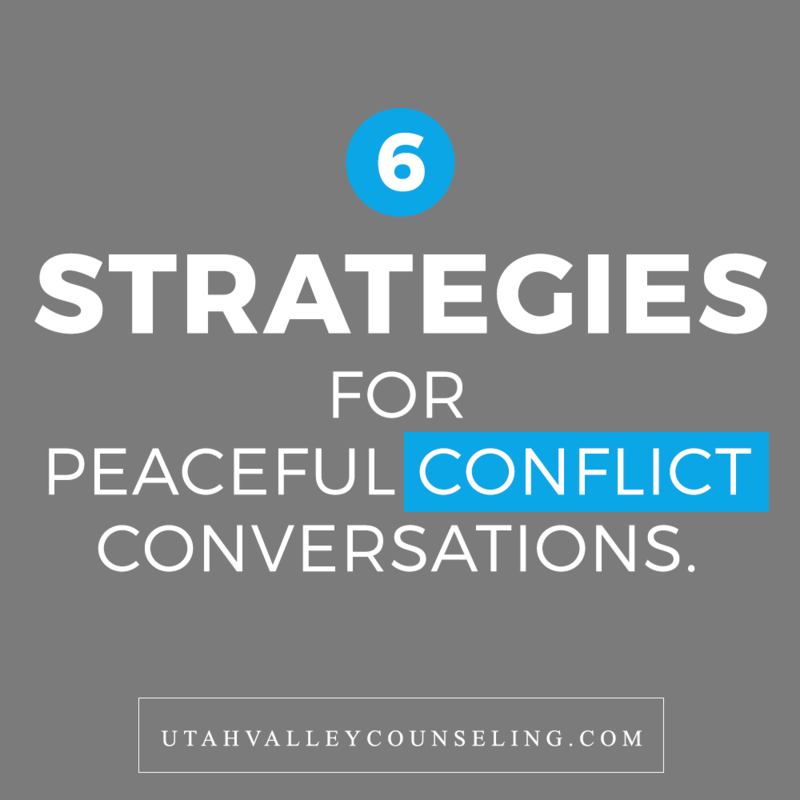 Wouldn’t it be nice if conflict or differences within our marriage, family, and friend relationships could be resolved in a calm, non-confrontational manner? How would it feel if our homes were void of tension, eruptive emotions, and escalating arguments? Who doesn’t want a friendly, supportive atmosphere when they’re with loved ones and friends? Often we feel that the idea of a continual loving environment is impossible to achieve. Individual personalities and issues within relationships lead us to believe that disagreements will inevitably arise. Surprisingly, the answer is quite simple, yet often overlooked. For important issues that mean a lot to us and cause us to say, “My voice needs to be heard!” – the solution really is in the way we say it. In other words, the way we navigate a conversation where there is a disagreement is what really makes all the difference. Coming to a peaceable resolution has less to do with the nature of the problem than with the strategies we use. Let’s discuss a theoretical example. Ashley and Cameron have an issue in their marriage. Ashley is consistently ready on time and punctual. Cameron takes a lot longer to get ready, struggles with time constraints, and is often late to appointments or meetings. At first, Ashley tries to overlook it, but gradually resentment begin to build. Every time the matter is brought up, Cameron feels blamed and becomes defensive. Voices grow louder, accusations are thrown, and both ignore each other for a few days. Things get back to normal until the next time Cameron is late. The problem never gets resolved and the relationship deteriorates. When visiting with clients who struggle with conflict or relationship issues, I have found that when they refuse to blame, accuse, attack, and argue – no matter how serious the issue – a great foundation of mutual respect and understanding is formed. So, what strategies help us find common ground in our relationships? When the person we have the difficulty with is not ready to discuss it, it’s often better to wait. Asking them to let you know when they are ready or how they feel about having a conversation is a good idea. Example, “Honey – I’ve been feeling hurt lately when we arrive late to events. It’s important to me to be on time. It may seem like a small thing but it means a lot to me.” Focus on your personal experience, rather than on what the other person is doing “wrong.” Notice the word “you” isn’t used in the example here. Example, “When you hurried and got ready last week for the company party, it felt like you cared about something that was important to me. I appreciated your effort so much!” Positive reinforcement can go a long way in relationships. Thinking about the other person’s feelings rather than getting our point across is crucial. When you fight to be right, the relationship loses. If tension builds and it seems too difficult to proceed with the conversation, stop and agree to return to it another time. If these strategies are implemented with a calm and polite voice, keeping in mind that the purpose of the discussion is to share feelings and perspective, a mutual agreement or compromise can be reached in many cases. A little sensitivity goes a long way. You’ll be surprised at what you can achieve by realizing it’s all about the way you say it. You may suddenly notice your voice was actually heard. Of course, there is no one-size-fits-all solution to conflict management in relationships. Even with the best of intentions, you may find some of these strategies don’t always work in your particular situation. There are times when professional help can get you through rough patches, when even your best attempts as keeping things calm don’t turn out the way you expect. Keep trying. Your relationship is worth it. By Alyson Watkins, therapist at Utah Valley Counseling.